We are a most trusted name among the topmost companies in this business, involved in offering of Benzyl Alcohol. Benzyl alcohol is a fragrant alcohol. The benzyl group is frequently abbreviated BN, thus benzyl alcohol is indicated as BNOH. 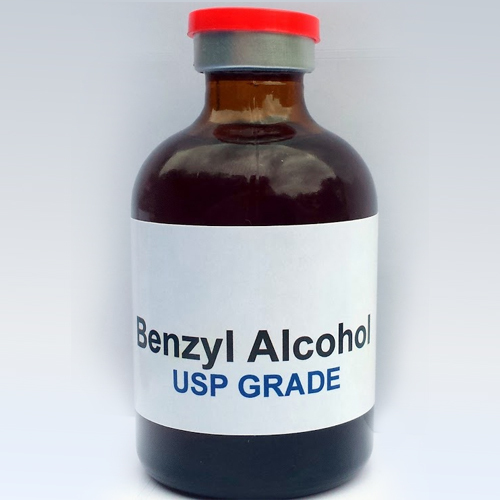 Benzyl alcohol is a mild pleasant aromatic odor, which is colorless liquid. It is a helpful solvent due to its polarity, low toxicity, and low vapor pressure. As a general solvent for inks, paints lacquers and epoxy resin coatings. As a precursor to a variety of esters used in soap, perfume and flavour industries. In medication solution, as preservative. Egypt, East Asia, North Africa and North America.